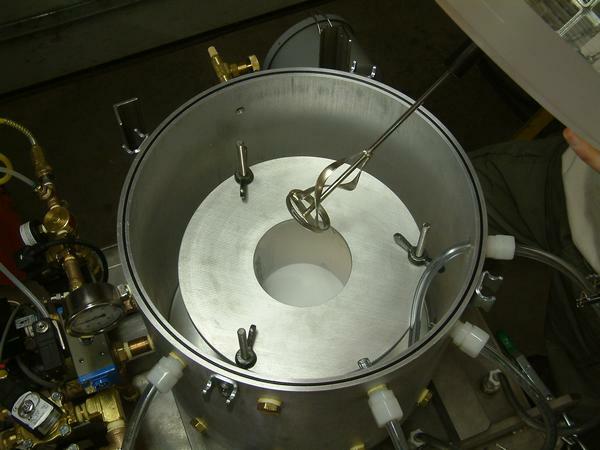 Mixing can greatly improve the degassing operation of almost all materials; it is a must for thicker materials like pastes and gels. 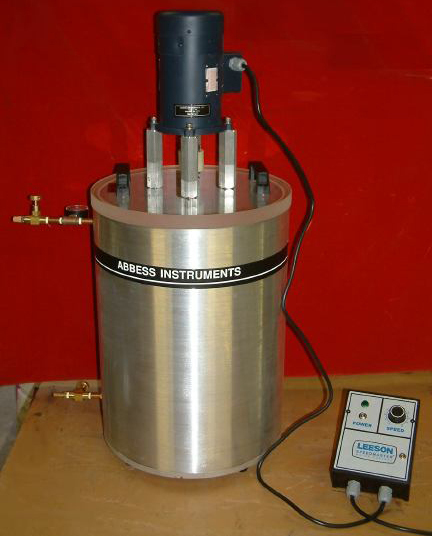 With Abbess Instruments can help you to prevent the integration of air into your product by using a vacuum mixer. 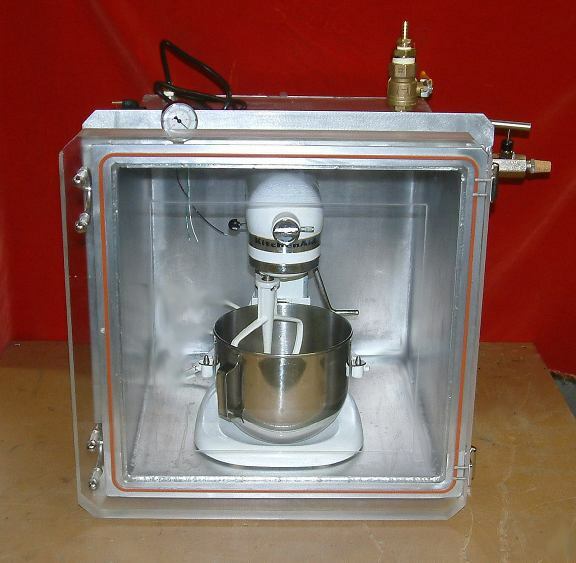 Vacuum mixing chambers can be used for a wide variety of material including, but not limited to: foods, herbs, papers, liquids, jells, powders, plastics resins, epoxies and many other parts and materials. 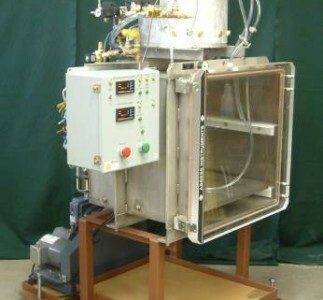 The in-vacuum capability allows a large quantity of material to be mixed and degassed for enhanced performance. 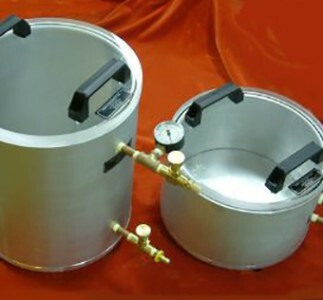 Whether you are mixing in a 5-gallon drum or a 55-gallon drum, we have mixers in a range of sizes. 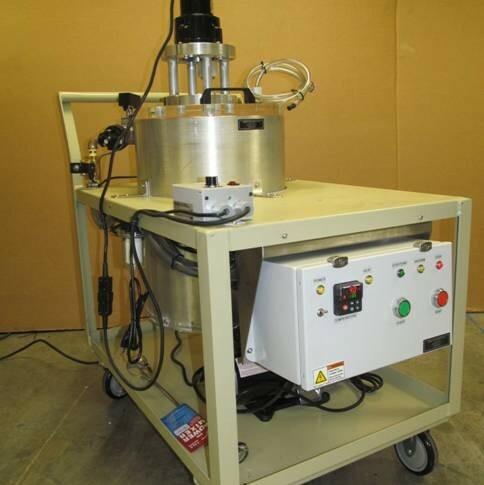 The power options range from manual hand rotary mixers to fully automated horsepower level mixers. 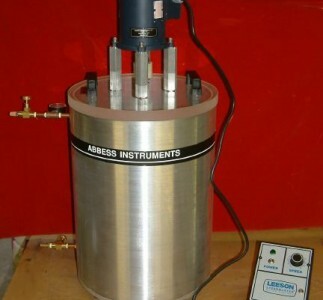 We will work with you to assess what mixing system your material requires. 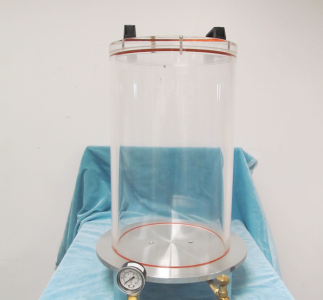 In vacuum heaters can be ordered with your chamber (round top loading chambers only). 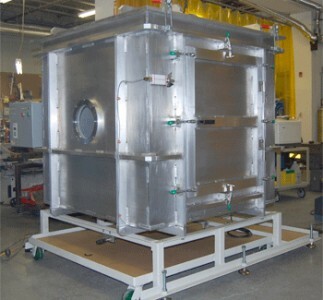 All chambers are vacuum tested to 29.92 inches of Hg or better (10-6 torr ) and should maintain this for its life dependent on seal condition and customer use. Power Source— Mixers are powered either by air or electricity. 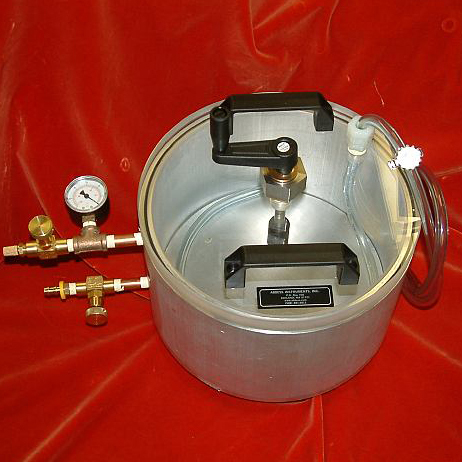 Air-powered mixers have infinitely variable speed control, can’t be overloaded, and, with proper lubrication, won’t burn out. 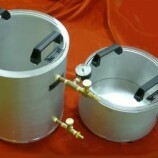 Electric mixers use energy more efficiently and thus are more economical than air-powered mixers. Drive— Select the drive style that’s right for your application. 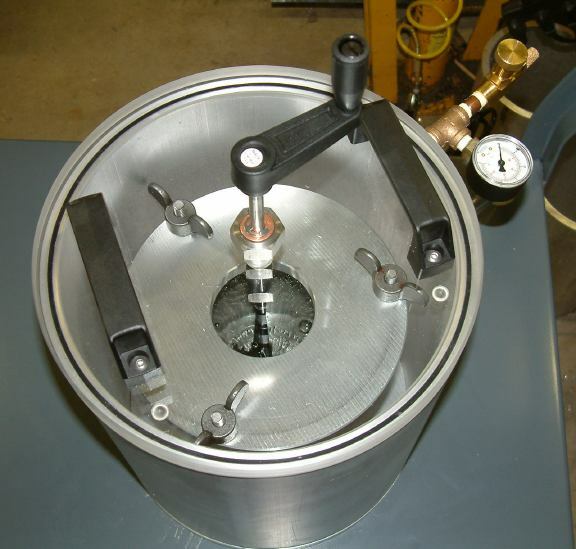 Direct-drive mixers turn the propeller at the same speed as the motor, offering high rotational speeds for quick mixing of low-viscosity materials. 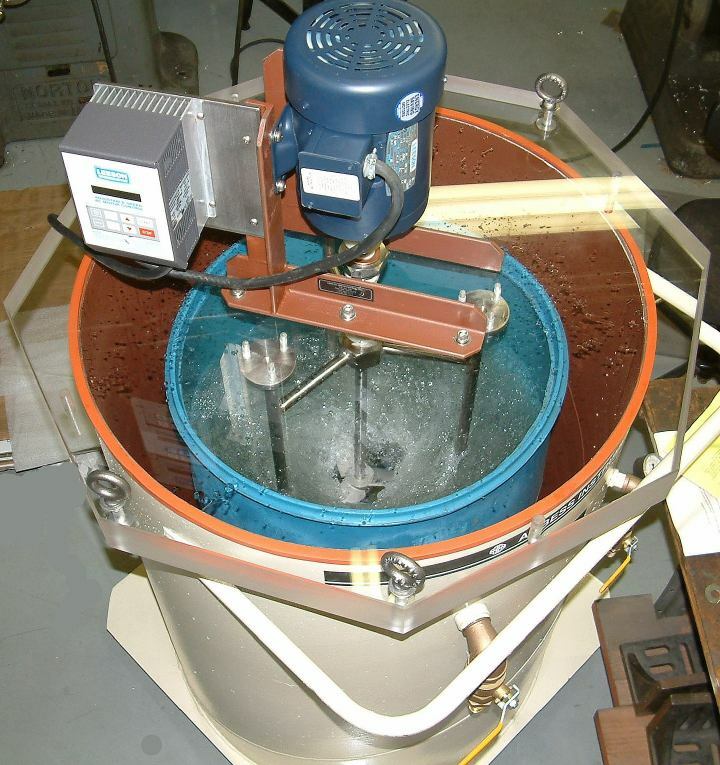 Gear-drive mixers typically turn the propeller at lower speeds than the motor, making them ideal for higher-viscosity materials. Viscosity (centipoise) — The thickness, or resistance to flow, of a material. 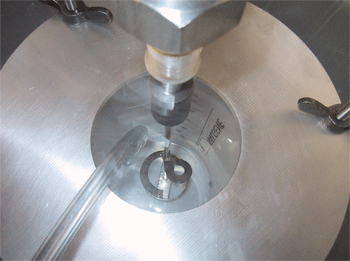 Viscosity is typically measured in centipoise, with water being equal to 1 and molasses to 15,000. Therefore, the greater the number, the higher the viscosity. Horsepower— Refer to the table below to find the approximate horsepower of the mixer you’ll need. When in doubt, choose a motor with a higher horsepower to avoid overloading. Horsepower — Refer to the table below to find the approximate horsepower of the mixer you’ll need. When in doubt, choose a motor with a higher horsepower to avoid overloading. 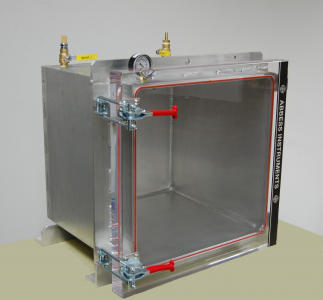 To mix a material then fill a product, both under vacuum, see our Multi-Chamber Systems. 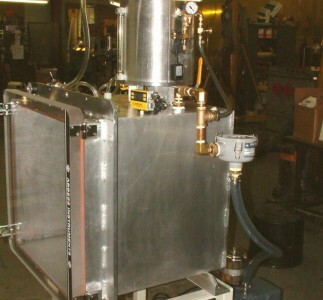 To fill a product with a mixed material, see our Filling Systems.